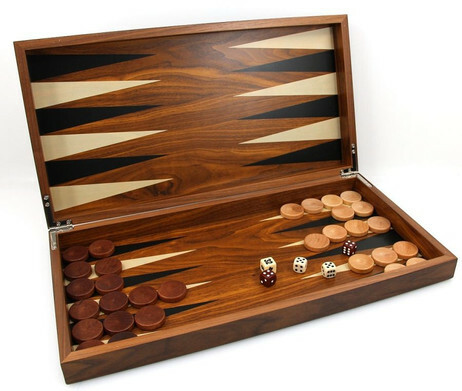 Fashionable backgammon Skeloudi XL with approx. 485 x 252 x 72 cm (closed). 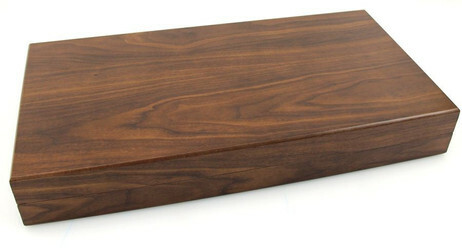 In designed veneer walnut optics with magnetic lock. Inside printed. 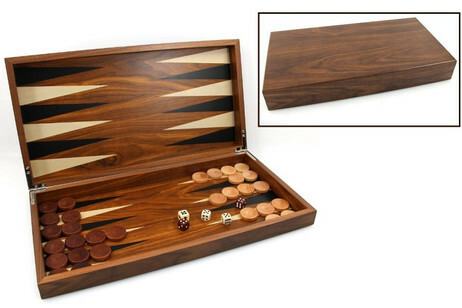 Contains of dice and gaming pieces.